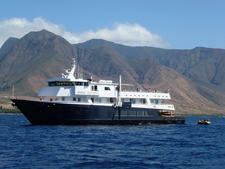 Wilderness Adventurer was one of the first ships launched by UnCruise Adventures. 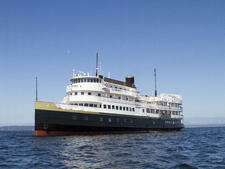 The company, run by veterans from Cruise West, a now-defunct small-ship cruise line, bought the ship from the Glacier Bay Cruise Line, another defunct Alaska cruise line. 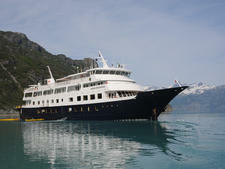 After a complete refurbishment, the expedition ship went into Alaska waters in summer 2011 and now runs itineraries there with 60-passenger occupancy. If your idea of a great weekend is getting outside for a long hike or paddle, then a Wilderness Adventurer cruise is perfect for you. With the company's focus on getting up-close with nature and wildlife, you'll get the most out of your trip if you take part in the ship's outdoor activities -- all of which are included in the cruise fare. 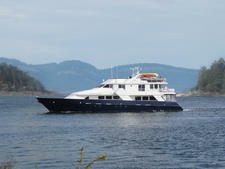 You'll be joined by fellow passengers who have the latest in outdoor gear and are eager to use it. Don't bother packing dresses or collared shirts; you're more likely to wear rubber boots and rain pants. Despite the casual atmosphere, Wilderness Adventurer offers thoughtful touches onboard. Cruisers will find a reasonably priced full bar, memory foam mattresses in the cabins and a special kayak launching dock designed to get even the biggest couch potatoes out on the water. Meals are served buffet-style at set times, and soda, lemonade and juice are included in the cruise price. The onboard pastry chef guarantees you'll replenish calories quickly. 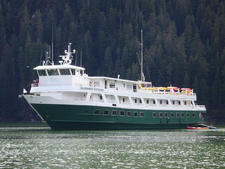 All cabins are above deck with outward-facing windows, perfect for enjoying Alaska's crisp mornings and late sunsets. An enclosed top-deck lounge provides great views, even when the weather is less than perfect. The ship quiets down at night, primarily because people are worn out from the ample hiking, paddling and trekking opportunities -- although the hot tub gets some use. There's little in the way of organized lectures or talks, a missed opportunity considering the surroundings. 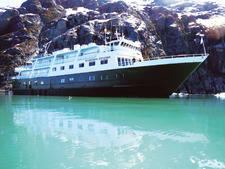 The Wilderness Adventurer sails the smaller waterways of Alaska's Inside Passage, settling down for the night in small coves and bays. 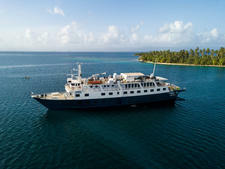 While most trips are seven nights in length, you can explore Washington's San Juan Islands and the British Columbia Inside Passage on longer 14-night itineraries as the ship travels to and from its Seattle base at the beginning and end of the season.